In line with clients' variegated requirements, we bring forth a distinguished collection of the Compressed Air Dryer. 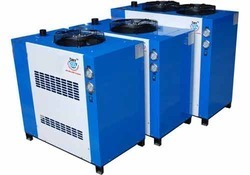 We are instrumental in trading a wide gamut of Refrigerated Air Dryer. the relative degree of humidity. We provide high efficiency Compressed Air Dryers that are perfect to remove the moisture from the compressed air lining. 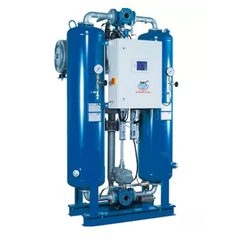 We are well reckoned as one of the distinguished Desiccant Compressed Air Dryers Manufacturers and suppliers based in India. Easy installation, low maintenance and non abrasive nature are some of the salient features of our Compressed Air Dryers. Driven by technically advanced facilities at our ultra-modern manufacturing unit, we are manufacturing an extensive range of Heatless Dryer.